Nothing beats Microsoft Outlook for handling business email on your PC. Getting that same usefulness on your phone is not as easy. When Office 2018 is released, how are updates handled? Outlook PC to Outlook App using Office 365 Exchange If you subscribe to Office 365, you can download the Outlook App on your phone and Sync using Office 365 Exchange. Outlook via USB to your phone CompanionLink USB is completely secure! Synchronize directly from your PC to DejaOffice on your phone. Use the native Contacts and Calendar, or get extra PC-style features by using DejaOffice on Android and iPhone. Notes: You have to remember to sync. Requires a cable connection. Outlook via Wi-Fi to your phone CompanionLink Wifi and CompanionLink Bluetooth is completely secure! Synchronize directly from your PC to DejaOffice on your phone. Use the native Contacts and Calendar, or get extra PC-style features by using DejaOffice on Android and iPhone. Notes: Wi-Fi does not work well in hotels or coffee shops, but bluetooth does. Outlook via DejaCloud to your phone The best hands-free sync is DejaCloud which is faster and handles a richer dataset than any Exchange based sync. 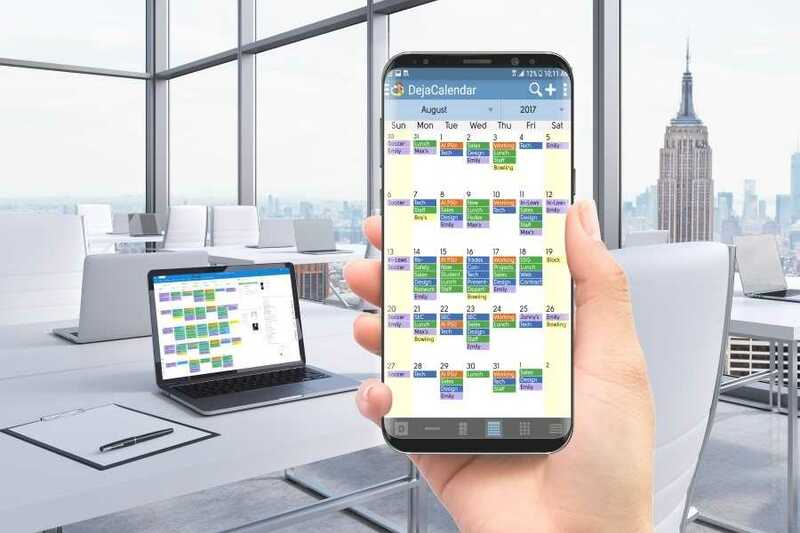 Use the native Contacts and Calendar, or get extra PC-style features by using DejaOffice on Android and iPhone. Notes: The best hands-free solution for people on the go! Only CompanionLink operates as a traditional PC Software Vendor. We have an address. We have phone numbers. Our staff is in the US. Our reviews are real. Free products are great if you have the time to make them work. Other competing products license only to your PC and not to you as a portable license. It makes a real difference to know that when you need help, we will be there for you. Notes: CompanionLink has handled mobile synchronization for more than 30 years. Every purchase today is guaranteed to work with Office 2019 without any additional charge.